I’m a Tarteist, pleased to meet you. I first heard about the brand Tarte through some of the American beauty bloggers that I follow. I heard many enthusiastic reviews and saw many posts of bloggers fervently awaiting the latest product releases so, of course I was intrigued. Intrigue quickly becomes want especially when you realise that Tarte is not readily available in the UK. As I couldn’t get hold of Tarte I carried on skipping my way around other beauty treats and put Tarte to the back of my mind. So I was pleasantly surprised to see Tarte popping up on QVC UK. I don’t know how long they’ve been available on QVC but I’m so glad I’ve found them now.. I love QVC beauty so I am bamboozled at how I missed Tarte’s entrance but at least now I can find out what all the fuss is about. I watched a few shows and the more I saw the more I wanted. I was unsure what to try first but opted in the end for the Tarteist Contour Pallette. I have avoided the contouring craze as, to be honest, I never really understood it and I also doubted the use of dark powder on my very pale skin but the Tarte palette looked so gorgeous I just wanted to give it a go. I gravitate towards brands that use pure, natural ingredients and with Tarte’s products it’s all about the natural, using as its base Amazonian clay. After trying the Tarteist Contouring palette and its techniques, especially the tip of putting concealer on in a ‘v’ formation under the eye and then smoothing it in and up, I am now a contouring convert. This one product from the Tarte range has made me feel more like a makeup artist and has completely demystified contouring for me. The Tarteist does make you an artiste. Tarte is fastly becoming a fave and I love watching the demos on QVC as I’m learning so much. I now want more much more from this brand. After my stresses and strains this week I’m pleased that I can share some of favourite things again. I have been receiving Birchbox beauty boxes for over six months but I have never shared their contents before as by the time I remembered to photograph it all I have already ripped apart the box and devoured the contents. 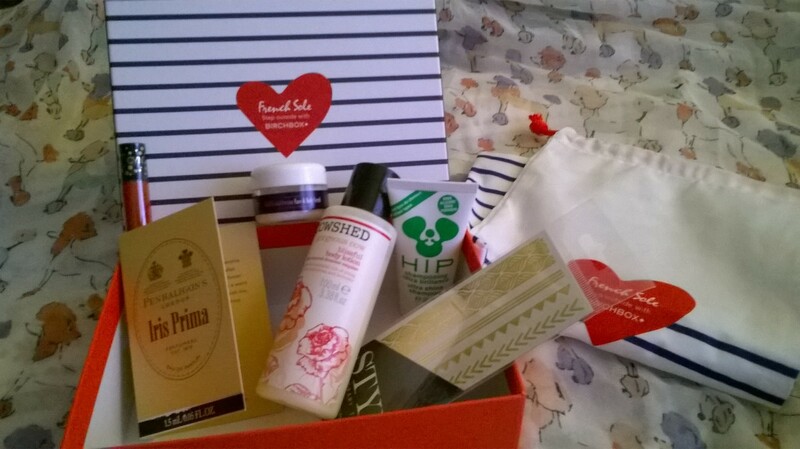 Birchbox is a beauty box subscription service that sends out a box of beauty goodies every month. You receive five personalised beauty samples every month for the monthly subscription price of £10 (plus £2.95 postage). You can save more if you buy 3, 6 or 12 month packages but I do it monthly so I can cancel whenever. 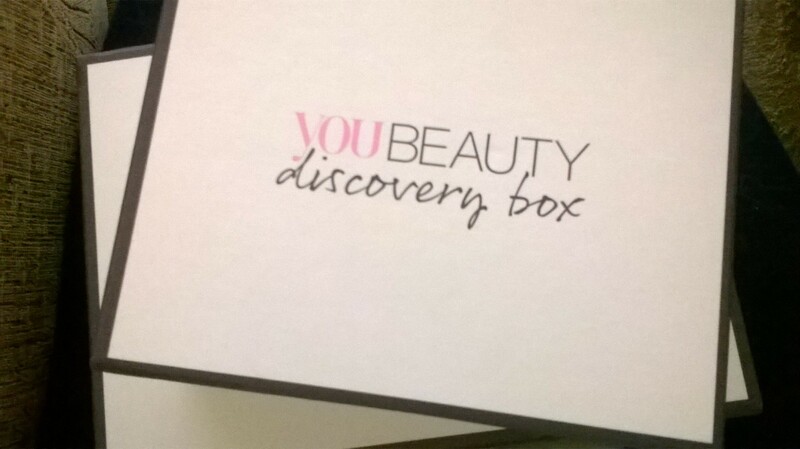 I am a little addicted to beauty boxes and I also receive Glossybox at the moment and have just ordered the You Beauty discovery member’s box and their limited edition CEW 2015 box and I am also looking into the Latest In Beauty boxes. I know, it’s absurd to have so many and I am not going to be doing this every month! This is purely in the name of research (wink) and a bit of a tonic to get myself through this tricky month. I love parcels – even when I have to buy them myself – and when they are beauty parcels, even the better! 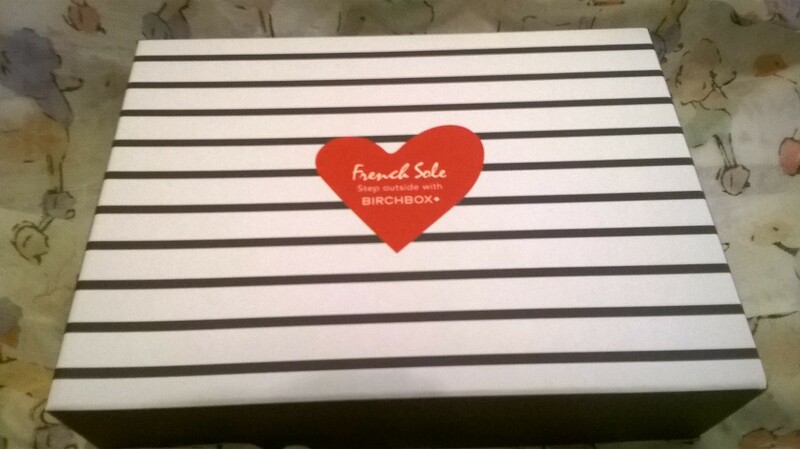 Also included as a bonus is STYLondon Temporary Metallic Tattoos amnd a Shoe Bag that is part of the French Sole and Birchbox collaboration that has inspired this month’s box. My Breton stripe design box is one design of three that you could choose. Some months you may be able to choose a shade of a product before the box is sent out but mostly the contents of the box are a complete surprise! 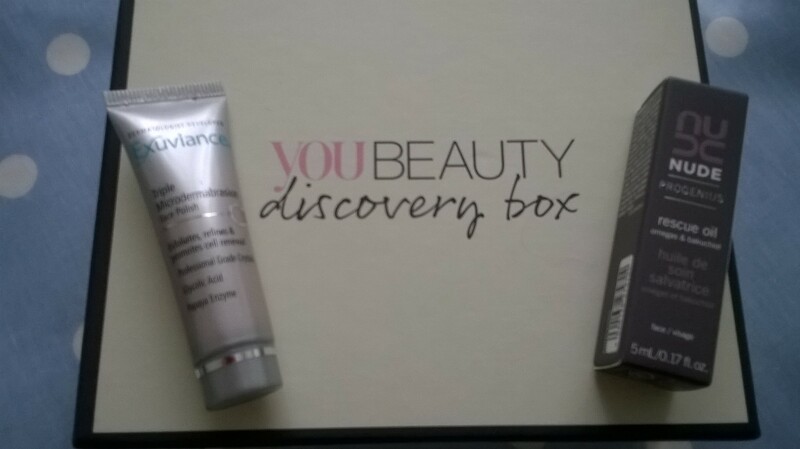 Although Birchbox do try to match the products to your needs and wants if you fill in your beauty profile when you subscribe. 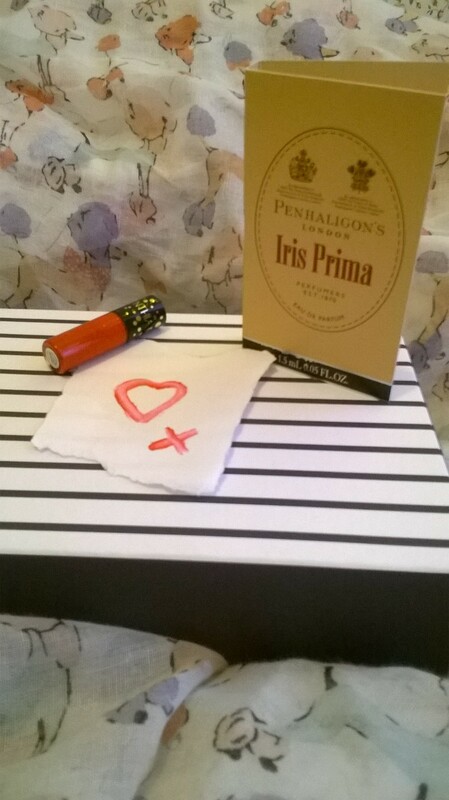 My favourite in this box has to be the Penhaligon’s Iris Prima eau de parfum and whilst it’s only 1.5 ml the starting price of the full size perfume is £85. It’s lovely for summer in that it has a gentle clean freshness in it’s bergamot top notes but holds as a sunkissed warmth and balminess in it’s sandalwood and vanilla base. It was apparently inspired by the English National Ballet. I much prefer this to Prada’s Infusion D’Iris. I have some Penhaligon’s miniatures but unfortunately no full sizes at the moment. The Cowshed Gorgeous Cow Body Lotion is lovely but don’t go near this if you don’t like Rose – it is very heady in it’s fragrance. The consistency and moisture is pleasant but I wasn’t as wowed by this as I hoped but my skin is going for a bad patch at the moment due to the Sjogren’s flare-up. The Cynthia Rowley Lip Stain is a gorgeous shade (Poppy) but is a little on the greasy side and only lasted a couple of hours and I usually expect more for something called ‘stain’. The HIP Shampoo and the Premae scrub are two brands and two products I haven’t heard about before and as my skin is very sensitive at the moment I am going to wait a little before I test these fully. I did try the scrub on the back of my hand and is relatively gentle and the small patch I tested did feel soft. It does say that the Premae scrub 100% natural so it should be fine but I’ll still wait a bit. The scrub does not appear to have a fragrance and seems a little strange because of this (usually a product smells of something), maybe the tiniest hint of it’s natural coconut oil but it’s so non-descript it shouldn’t affect if you want a ‘clean’ base that won’t interfere with your favourite perfume. As for the Temporary Metallic Tattoos? I must be getting old as I can not fathom the lure of such things. I know that they seem to be everywhere this festival season but I think I’ll let this mini-trend pass me by! 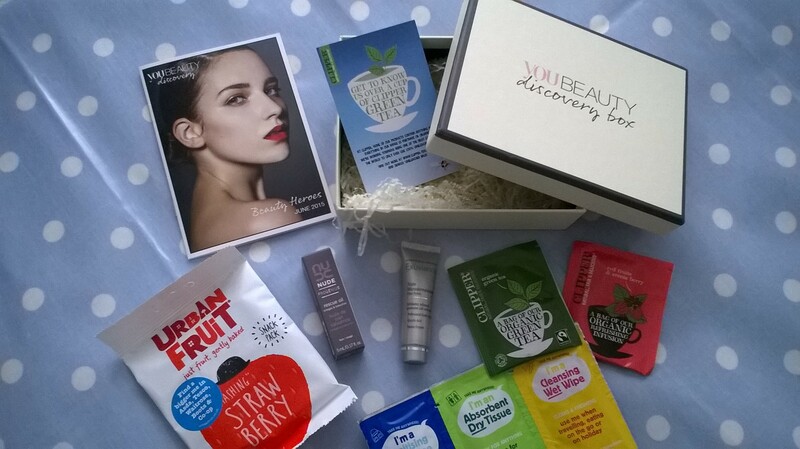 All in all a mixed bag but part of the fun of these boxes is the surprise element and in being prompted to try new brands and products and I always enjoy that! If you were tempted to subscribe or just nose around their site the UK link is below. If you subscribe on this link you can get 50 Birchbox points to start you off (earn 100 points and get £10 to spend on beauty products in their shop). £1 Glamour Magazine and ModelCo Freebie – Amazing! Glancing at the magazine racks a magazine quickly caught my eye. I do tend to buy Glamour Magazine most months as it has a great price (usual price £2), good content and often has freebies, but this month Glamour surpassed themselves. I believe that as a way of celebrating The Glamour Women of the Year Awards conducted by Glamour magazine the magazine’s cover price is just £1 and to spoil us further the magazine has one of four ModelCo beauty products attached for free. You can choose from a ModelCo mascara, a black eyeliner, a blue eyeliner and a lip gloss. The ModelCo products that you get free are all full size and retail for over £10 each. An absolute bargain! I bought two copies and chose the blue eyeliner and the lip gloss. I have used ModelCo’s lip glosses before and true to form this lip gloss in a shade called ‘Striptease’, gave a subtle, natural tone to the lips with its sheer coverage. The shade is very versatile and could tone with any other makeup and outfit easily and the gloss isn’t tacky either so it’s fuss free. The lip gloss also has a handy mirror attached to the side of its tube which is very handy and pocket/clutch friendly. 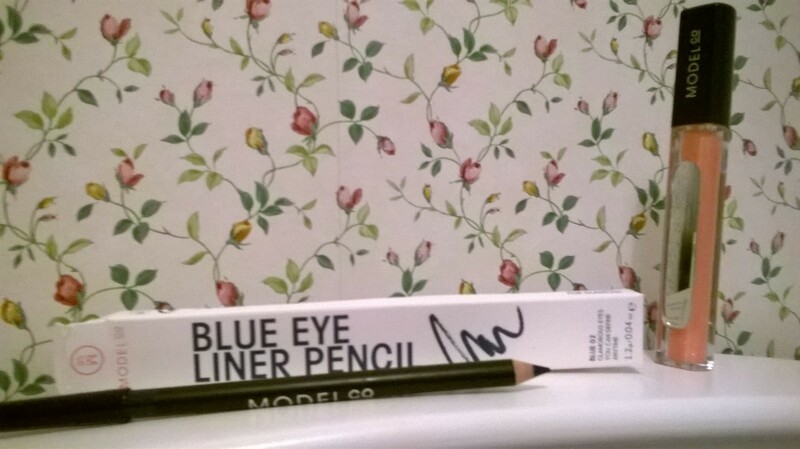 I chose the blue eyeliner as I only have a very dark navy (almost black) and was hoping for a more true blue colour but the ModelCo eyeliner in the box was more of a French Navy. Despite being a little surprised by the shade of the eyeliner it is still a lovely colour (and probably more wearable than a true blue). The pencil is soft (which is so important!) and although I only wore it for a lazy afternoon it stayed put quite well. If you like a good read, a good product and a good bargain you can’t go wrong with this month’s UK edition of Glamour; after all, who can argue with Glamour for a pound? I was supposed to have had my first visit to the pain clinic yesterday but the doctor’s secretary called to say that he was sick. It is strange to think of a doctor being sick I know they’re only human (though some doctors would have you believe otherwise) but still. It was a relief really that it was cancelled as I was feeling quite rough – I was in too much pain to go to the pain clinic – so I tried to rest up. I got a little too fed up of rest as the day went on so I wanted to go on a magazine haul to cheer myself up. If film and T.V. has taught us anything it is that sick people must have magazines and grapes (I do actually have both beside me right now in bed). 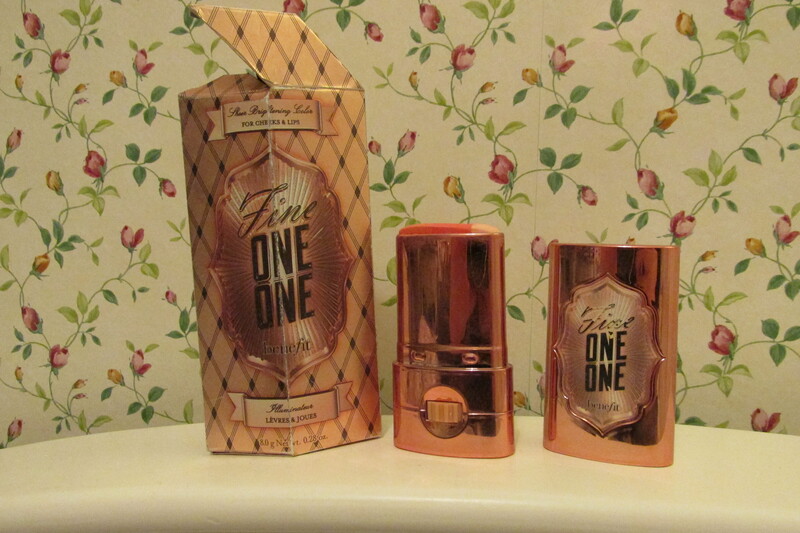 Too tired to bother about much make-up I reached for my quick fix -Benefit’s Fine One One. Fine One One has been around a while but as I’ve only just started the blog I have a bit of catching up to do. It is a multi-purpose cosmetic stick that uses three distinct colours to highlight, contour and colour. With one swipe across the cheekbones you’ve highlighted, contoured and blushed your cheeks (just blend lightly with fingertips). Each colour can be used separately as a highlighter or colour on lips and eyes. I find swiping the pale pink highlighting colour on your eyelids and brow arches swipes away any redness or other signs of fatigue. It has a creamy texture that keeps its hydration throughout the day.The other colours give a natural healthy flush to lips too. This one product is a great weapon against fatigue that can be deployed in a swipe. As you can see from the packaging its well-used! I like keeping packaging – helps to find things in your make-up bag. I struggle with foundation. I am very pale-skinned and most ranges don’t go pale enough add to that my very sensitive skin and my pool of choices becomes very shallow. I like BareMinerals Original Foundation but whilst it’s great most days it can look cakey and clumpy on my skin on bad days when my skin is dry. I love a lot of BareMinerals products as they are extremely non-offensive to my skin and often have great staying power but I wondered if a liquid foundation would better suit my skin on its off-days. 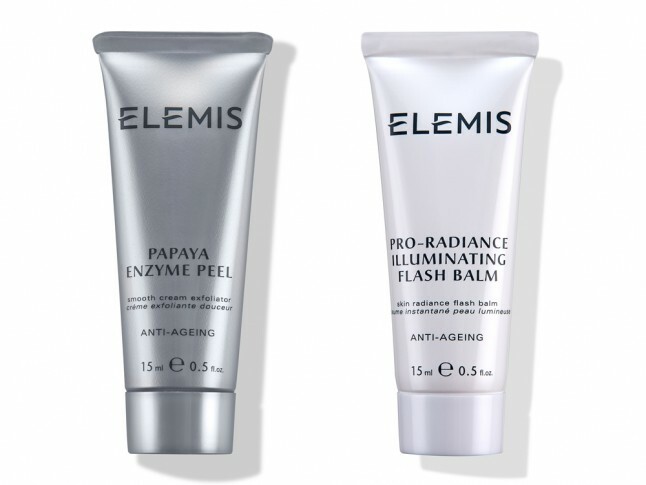 I try to choose products that are as natural as possible and when Liz Earle (whose skincare products are incredible!) brought out a make-up range a few years ago I thought I’d give their liquid foundation a go. It was a lovely foundation with moderate coverage and lovely skincare benefits. I split my foundation days between Liz Earle and BareMinerals happily until Liz Earle ran out of the foundation (I heard it may have been due to ingredient sourcing problems) – I was so annoyed! I had finally orchestrated the perfect routine – BareMinerals gave Matte coverage for shiny days and Liz Earle gave dewy sheen for dry days – but then it was over almost as quickly as it was found. 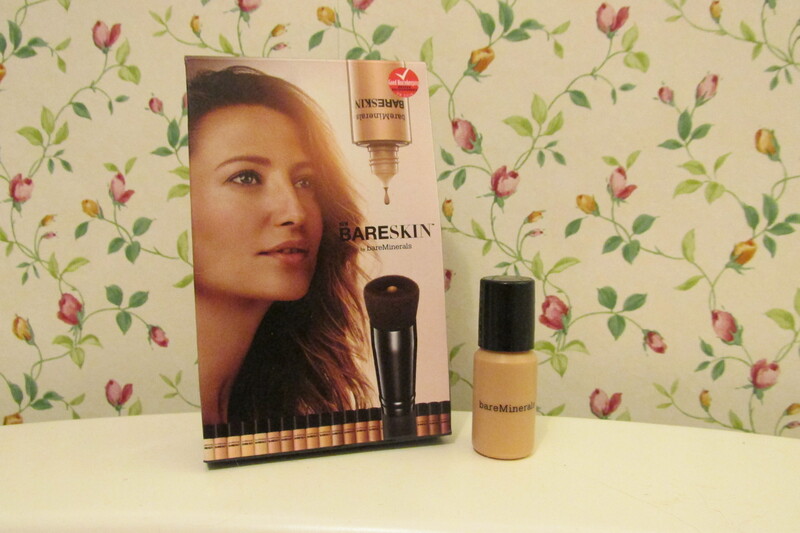 So for many months I looked at other foundations but could not find anything near as good as what I had but then when I almost gave up BareMinerals released their first liquid foundation – BareSkin. I received a weeks sample of BareSkin from my local BareMinerals counter after being colour matched. The foundation needs to be shaken before use at also contains a serum and it can be layered up to get basic to moderate coverage, although I managed to get quite a full coverage after only a few layers. The foundation is smooth and light on the skin and it didn’t dry out my skin at any point in the day.BareMinerals advise that people use their new ‘revolutionary’ brush to apply this particular foundation. The brush is quite stubby and has a ‘dip’ carved out of the middle that the drops of liquid foundation sit in, you then buff the foundation onto the skin just like the Original Foundation. I hate it when brands try to flog an extra product onto another stating that it works best in conjunction because if one product will only work with another then they should come as a set, in my opinion. The brush is quite expensive and I’ve not had good experiences with BareMinerals brushes in the past as they’ve moulted terribly. However despite their claims for the brush I found the foundation worked very well without it. Overall I’ve been very impressed with the BareSkin foundation and would happily buy it…but I’ve just seen Liz Earle’s foundation is back on the shelves and I’m not sure which one is better…although Liz Earle’s Signature Foundation requires no additional purchase to work its best.